Hello there! It’s Ginger from Ginger Snap Crafts, and I’m back to finish up what we started yesterday. Yay! Yesterday I showed you how I used Cricut Design Space to create some really cute stocking designs. 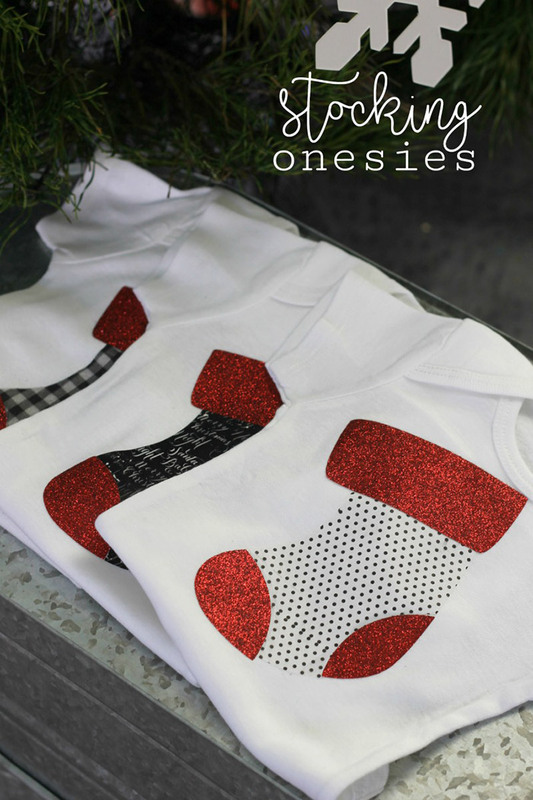 Today I’m going to show you how to easy it is to use the Cricut EasyPress to create these super cute stocking onesies. Let’s get started! 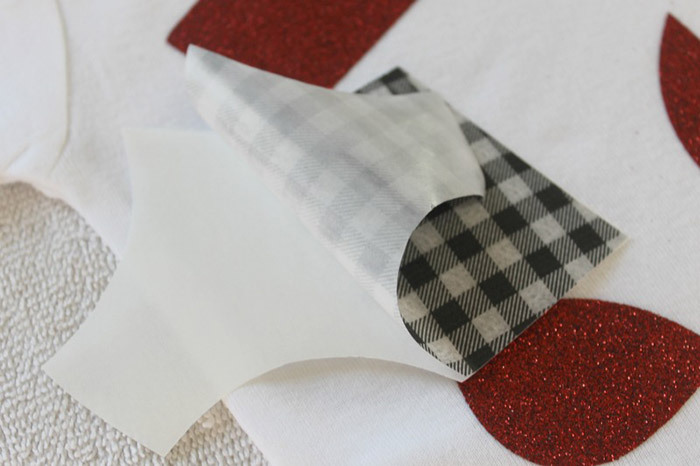 If you missed yesterday’s post, be sure to pop over HERE & check out how to design & cut out the stocking design using the printable iron-on and glitter iron-on. 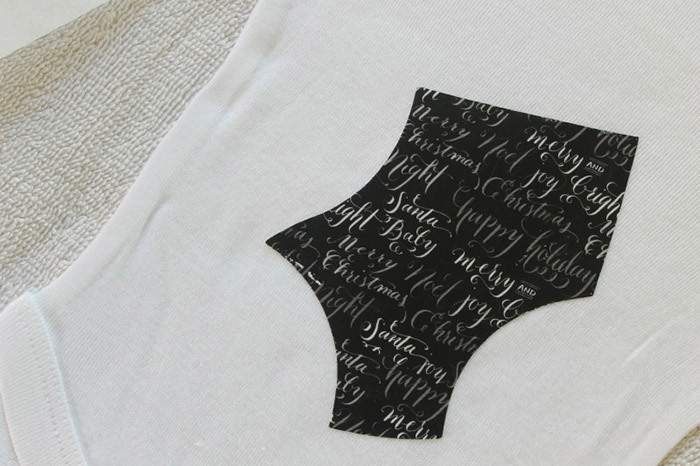 If you remember, yesterday I used the printable iron-on to create some fun patterns for my stockings. If you missed that post, don’t forget to click over HERE and check it out. First, set your Cricut EasyPress to 250° and 30 seconds. 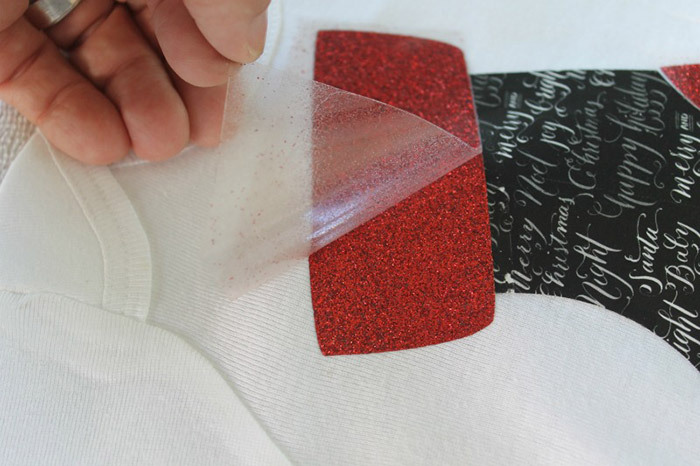 TIP: Before you attempt to apply your printable iron-on, be sure you remove the backing paper. TIP: Also, Cricut Iron-on comes with a sheet of parchment paper. 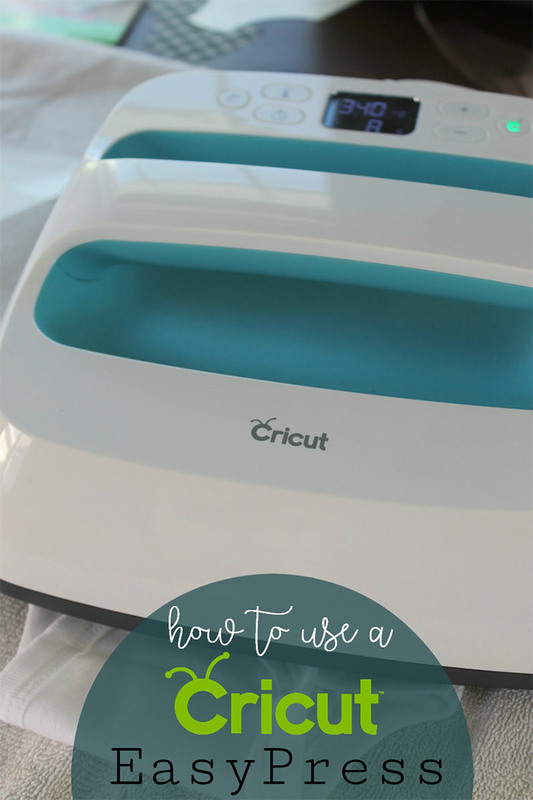 Before you use the Cricut EasyPress on your design, be sure you lay that parchment paper right on top of your design. It will protect your design while at the same time allow the heat to transfer the design to your onesie. 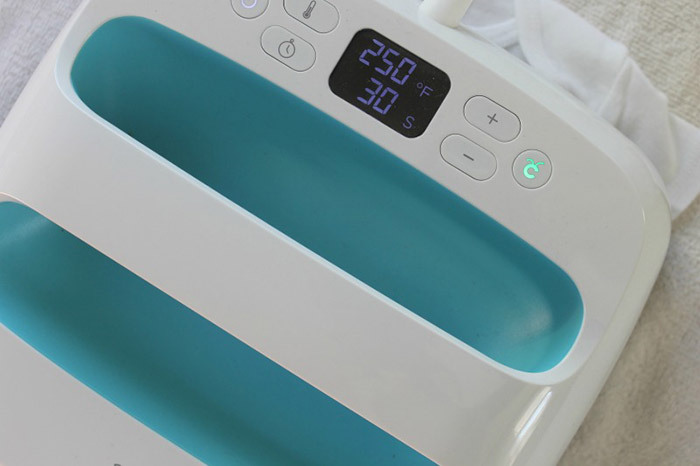 Next, place your Cricut EasyPress on your design & press for 30 seconds. Can I say how much I love this scrip design? So cute! Next, you will apply your Cricut Glitter Iron-on. 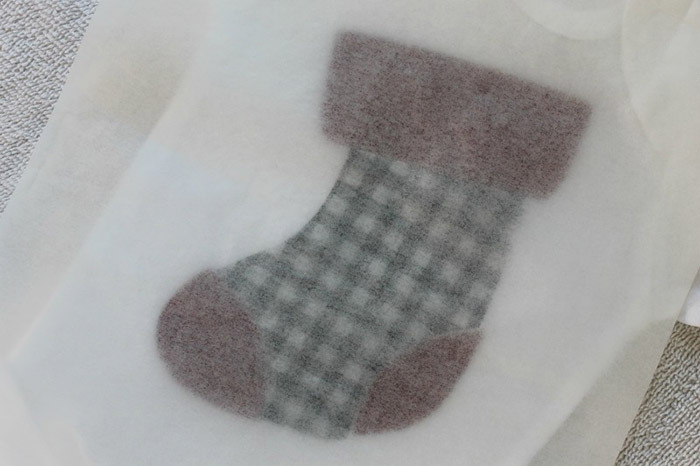 Tip: You don’t want the sticky backing paper of the glitter iron-on to touch the printed part of your stocking. It could lift some of the ink off. So, I trimmed back the edges that could touch the printed part of my stocking. Don’t forget to pin this post, so you can come back to it later! Normally, you don’t need to do this. You can use the Cricut EasyPress right on top of the glitter iron-on, but since I needed to protect my printed patterned iron-on, I put the piece of parchment paper back over my whole design. I let my Cricut EasyPress heat up to 340° for 30 seconds. 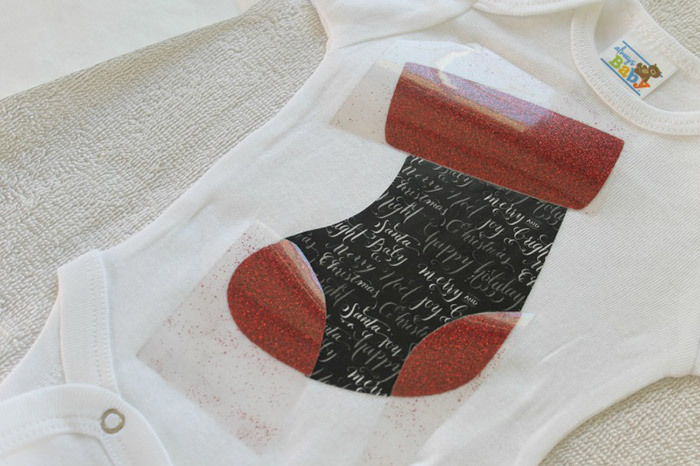 Then I pressed my glitter iron-on onto my onesie. 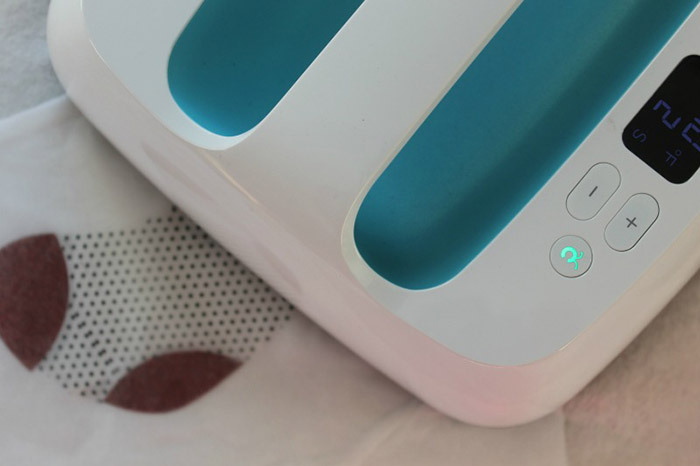 TIP: I tried my best to avoid touching the printable iron-on with the Cricut EasyPress since that temperature is way too warm to put directly on top of the printable iron-on. Next, you’ll carefully remove the backing paper from the glitter iron-on. All done! 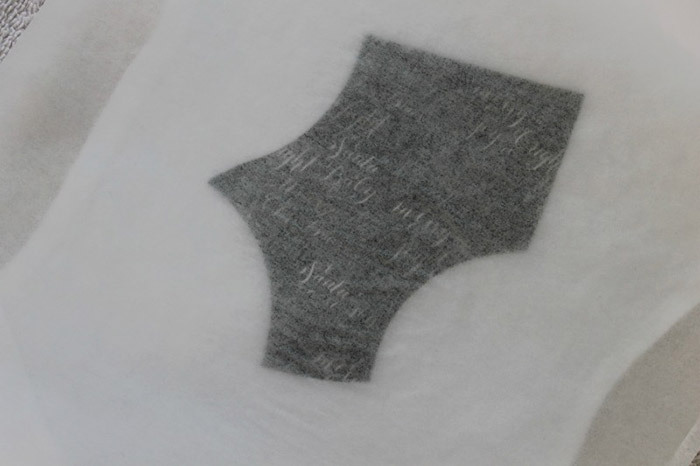 Just imagine all the amazing projects that you can make with the fun printable iron-on! Let me know what you would create in the comments below. Don’t forget to share this post with your friends! Happy Holidays!